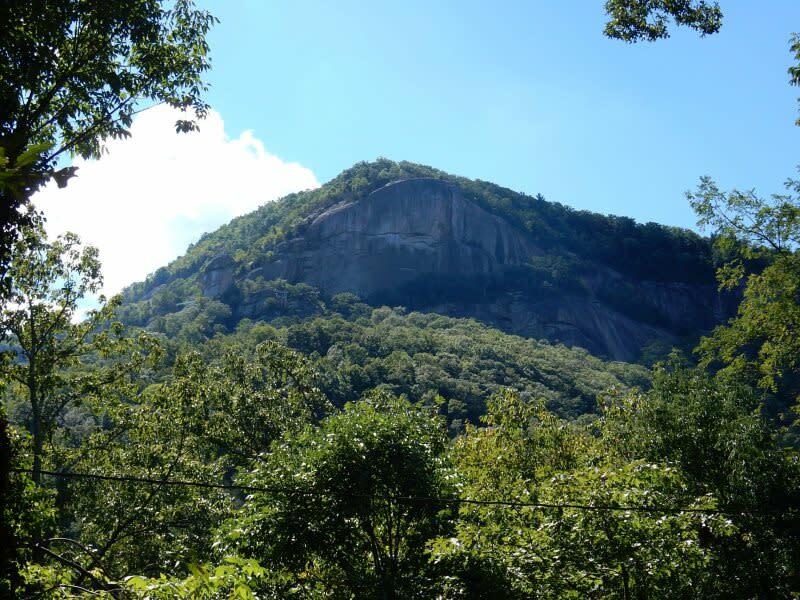 "Chimney View" is named for its direct view of Chimney Rock, the iconic feature of Chimney Rock State Park. The entrance to the park is just two blocks from this home. The restaurants and quaint shops of Chimney Rock Village are just around the block. At the home, you can even hear the sounds of the picturesque, trout-filled Rocky Broad. There are plenty of places to fish at the river and a boardwalk to enjoy the beauty. This home also boasts a small attached garage. The garage, along with paved roads in the area, proximity to the curves of Memorial Highway, and the beauty of Blue Ridge Parkway, make this home perfect for those riding motorcycles. 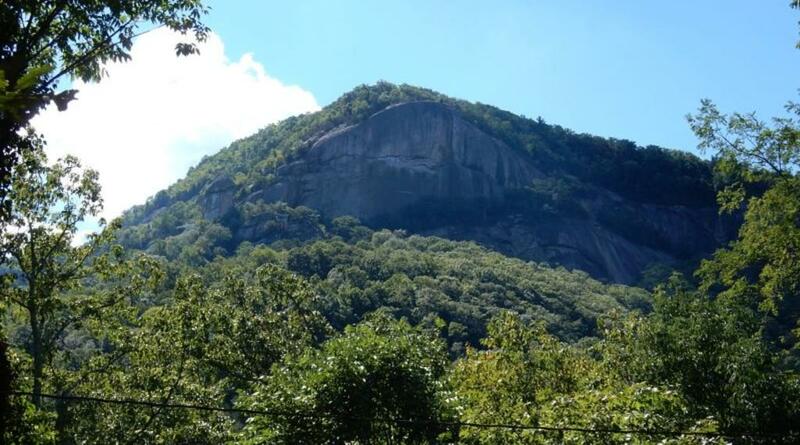 Comfort and Value Additionally, this Chimney Rock vacation rental home offers accommodations for 4, with 2 bedrooms and 1 bath, at a fantastic value. It is furnished with high-quality and comfortable leather sofa and chair in the living room; unique, locally crafted pieces throughout the home; as well as some antiques. The homeowners personally selected and placed each item as though they occupied the home full time, with your comfort in mind. Enjoy the view and sounds of nature from the comfortable Adirondack chairs. At the rear of the home are a stone patio, picnic table, and gas grill offering the perfect setting for enjoying a meal outdoors. The NASA memory foam mattresses, the 600-thread-count Egyptian cotton sheets, refreshing mountain air, and soothing Rocky Broad rushing waters will bring you back again and again just for the relaxing sleep!